Just to confuse collectors the Royal Australian Mint issued 2 different aluminium bronze one dollar coins to celebrate the AFL Premiership series in 2012. Different? Yes, barely different, so it's important we highlight this in an article spelling out the differences of these two football themed issues. The first coin we'll call the 2012 AFL Premiers one dollar which depicts the premiership cup and can be seen above. The legends read "2012 AFL Premiers" on the reverse above the cup and "one dollar" below the cup. The obverse reads "Elizabeth II Australia 2012" as you find on all circulating coins. This coin was issued in a PNC by Australia Post. The second coin type we'll call the Sydney Swans one dollar can be seen below which at first glance looks just the same as it's mate. The minor differences are that the legends read "2012 AFL Premiers" with "Sydney Swans" written below the same Premiership Cup. The obverse features the words "1 Dollar" and the Ian Rank-Broadley portrait of Queen Elizabeth II has been reduced in size to fit the extra text. It has been issued by the Royal Australian Mint in a folded card. Both coins were not issued into circulation and feature a depiction of the actual Premiership Cup which is inscribed "Australian Football League 2012 Premiership Cup" complete with the oak leaf decal. It's not so easy to spot the differences without both coins in hand. Issued by Australia Post this postal numismatic cover or PNC features the AFL Premiership one dollar minted by the Royal Australian Mint. There were 2 different one dollar coins released for the AFL in late 2012 and this type doesn't include the name of the winning team. The PNC's brightly coloured envelope does however, feature the Sydney Swans as the AFL Premiership winners holding their medals after the match. The aluminium bronze one dollar coin features the Premiership Cup on the reverse and the standard Ian Rank-Broadley portrait of Queen Elizabeth II on the obverse. It is the standard 9 gram 25mm size issued as NCLT or non-circulating legal tender for collectors and hasn't been issued into circulation. The coin in this PNC is the same type used in the coin toss before the final was played at the MCG on September 29th 2012. This AFL Premiers PNC has one 60c stamp and is postmarked 26th October 2012 in Sydney. Issued for $19.95 by Australia Post it is an official AFL licensed product and is limited to just 15,000 produced. Each PNC is numbered on the front. 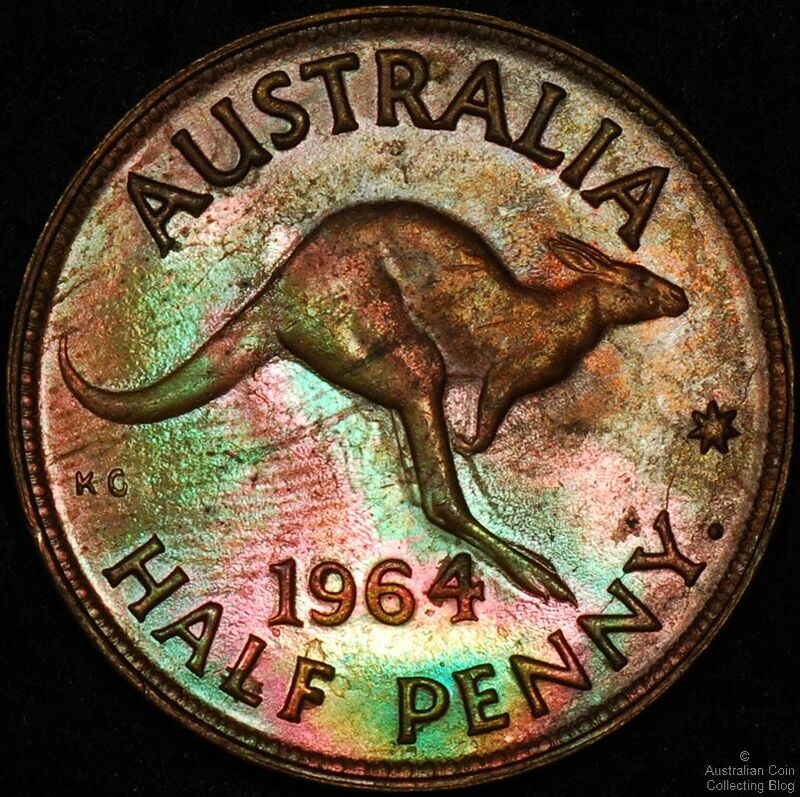 The Perth ANDA Coin Show was held on the 2nd and 3rd March in the Crown Casino just outside Perth CBD. Eric Eigner, from Drake Sterling Numismatics, flew over there for the weekend and has shared with us a few words about the show. 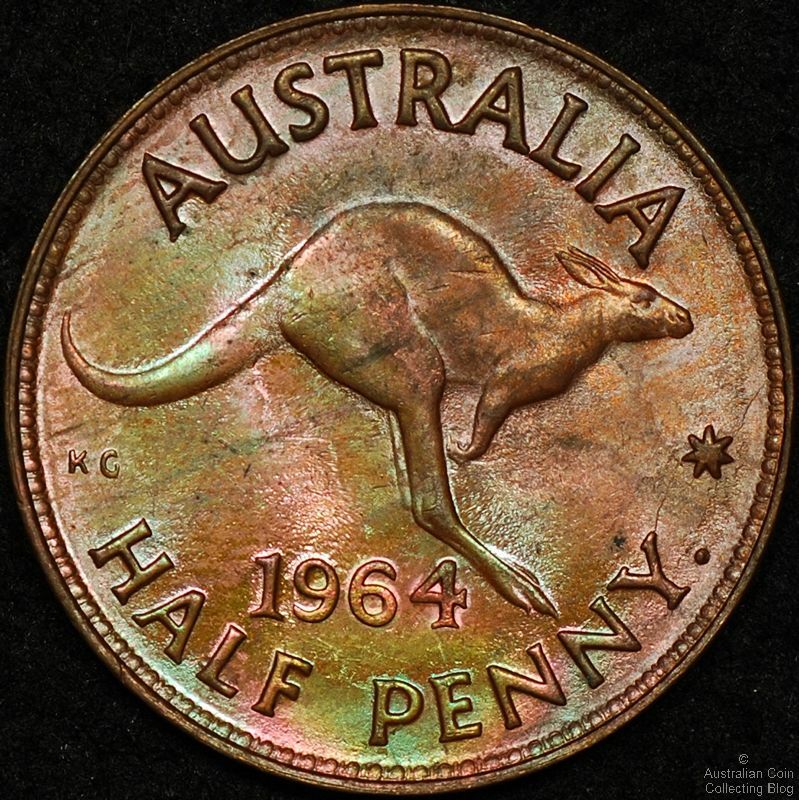 In March each year, coin collectors from all over the country make the pilgrimage to Western Australia's capital city to attend what is arguably the country's largest ANDA Coin Show. Being the first show of the year to exhibit the mints' new product line-ups for 2013, the show promised to be a big one. 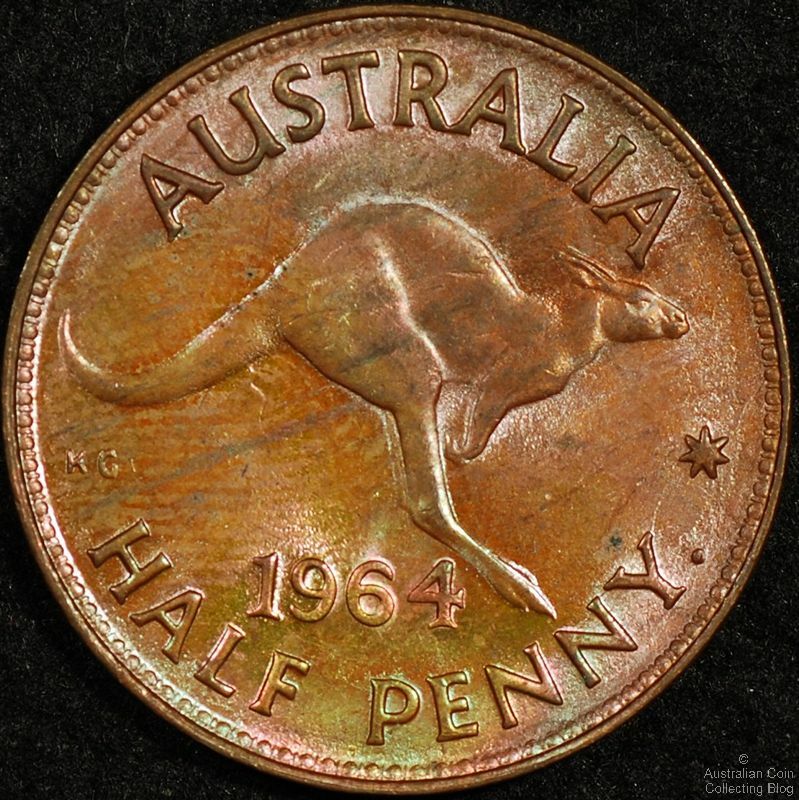 Like last year, the Perth ANDA Coin Show fell on the first weekend of March and was held in a large carpeted hall just off Perth's Crown Casino (formerly, the Burswood Casino). I flew over on the Friday and spent the first day in Perth examining the exhibits at the Perth Mint. We also visited the bullion trading desks, where collectors (and gold investors) could buy gold over-the-counter at the day's gold prices. Although the mint appeared to have the full range of Perth Mint product for sale, their range of gold sovereigns for sale was limited. The lady who served us said that demand for the smaller gold coins, including gold sovereigns, had been strong. Afterwards, we visited two or three local coin dealers, all of whom were excited about the show which would be held the following day. Previous shows in Perth have always drawn large crowds, so when I arrived at the Crown Casino Saturday morning, I wasn't surprised by the length of the line leading up to the front door. I was as equally unsurprised by the length of the line at the Royal Australian Mint counter. The mint-your-own counterstamp dollars have always been popular with collectors, and this year's issue (commemorating the bicentenary of the Holey Dollar and Dump) has been particularly popular. About thirty coin dealers attended the show this year, and many reported brisk trading into the early hours of the afternoon. Prospect Stamps and Coins, from New South Wales, had a typically wide range of mint product for sale, but were completely cleaned out of gold sovereigns. When I visited International Auction Galleries' table, Paul Hannaford showed me a pair of English half sovereigns, both of which did not look in any way out of the ordinary. Only when I flipped over the coins did I realise that the half sovereigns were not ordinary at all -they were in fact impressive examples of a reverse and obverse brockage, the first I have ever seen in Australia! Paul's range of rarities was equally impressive: The proof 1914-H florin, graded PCGS PR66, was particularly so. Over the years, the range of PCGS or NGC-graded certified coins available for sale at ANDA shows has expanded. Five years ago, perhaps only one or two dealers might have had independently certified coins in stock (myself included); last week at the show, perhaps a quarter of the dealers had at least one PCGS or NGC-certified coin on display, with some dealers having nearly all their stock independently assessed. In fact, collectors who have snubbed so-called "slabbed" coins in the past due to their perceived high prices would be pleased to know that one dealer had a full tray of miscellaneous PCGS-graded coins for $28 per coin (or four for $100). Included in this "bargain bin" were various PCGS MS66 shillings, MS68 and PR68 decimal coins, and a small assortment of world coins. Considering that the minimum cost of grading is about $20 (including shipping to and from PCGS), a high-grade certified coin for $28 appears to be good value. Perhaps an indication of coin collecting's broadening appeal, a TV crew from a local community channel spent a few hours interviewing some of the key players in the industry. Andrew Crellin talked about investment trends across the market, Paul Hannaford provided a brief background to some of his more interesting banknotes, and I discussed the impact of third-party grading on coin prices. Overall, the Perth show was one of ANDA's better shows I've attended. Anecdotally, dealers appeared to have done well, while at least two collectors boasted to me about the bargains to be had. Prices on the whole appear to have moderated since the heady days of 2007, but the range of coins available for sale has also expanded. More importantly, it was great to catch up with old friends, and I look forward to flying over there again for next year's show. Our thanks go to Eric from Drake Sterling Numismatics for helping out with write-ups of shows we're unable ourselves to attend. As a PCGS authorised dealer Drake Sterling Numismatics submits coins on behalf of collectors to PCGS for grading, contact them for more information. 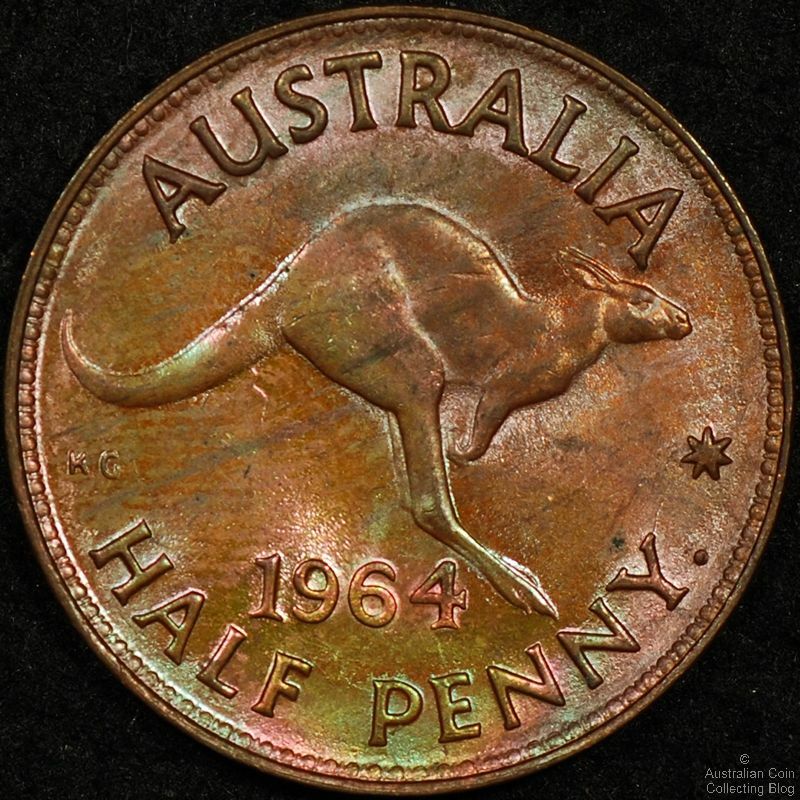 A question came up recently on an Australian Coin Forum about how best to capture the colour of toned bronze coins. It's an interesting question so we decided to investigate four different methods of photographing the same coin in an effort to faithfully reproduce the toning. On our photo setup the end of the lens is 35cm away from the coin. The closest together we can get our two lights is 6cm from the centreline of the lens. So we tested this case, and two others with the lights 12cm and 18cm off of the lens centreline. As a final case we also tested putting the lights back to their normal 6cm position and tilted the coin toward the lens to reflect the light from the coin surface back into the lens directly. This corresponds to a light angle of 19 degrees. Camera settings f10 1/200s. This corresponds to a light angle of 27 degrees. Camera settings f10, 1/160s. This case illustrates one real advantage of having the camera and lights a long distance away from the coin. When you till the coin you don't actually need to tilt it very much (only 10 degrees in this case). So the coin appears largely round. It still requires adjustment of the f stop of the camera to keep the whole coin in focus though. Camera settings f16, 1/320s. To see as much colour as possible the light onto a coin should ideally be reflected directly into the lens of the camera. This means either getting the lights as close to normal to the plane of the coin as possible or tilting the coin to reflect the light. Clearly tilting the coin is not ideal because of the inevitable distortion of the shape of the coin, and the larger focal plane required of the camera (and corresponding increase in exposure time). When the light is reflected directly into the lens of the camera colour is maximised but the effect of any lustre is lost. In our experience any visible cleaning or hair lines can also be concealed using this lighting technique. The best images are a compromise between the two extremes. We believe that Case 1 has the best images for both indication of coin grade and colour. Today was "One Very Big Day" in Canberra, the Canberra Day public holiday for the celebrations of it's centenary. Theatre, the arts, music, entertainment and loads more filled the ACT this weekend before it's official birthday tomorrow. The Royal Australian Mint was on hand to swap your daggy circulated 20 cent for a shiny new 2013 Centenary of Canberra 20 cent coin design depicting the Walter Burley Griffin designed city layout. Crowds gathered at Regatta Point by Lake Burley Griffin at the Mint tent distributing these coins. Getting a quality coin without contact marks was near impossible the coins looking to have had a rough trip down to the lake. The reverse design is by the RAM's Aleksandra Stokic and you'll soon find these coins in your change! Happy Canberra Day and thanks to our Canberra friends for the images in this article. If you missed this event, find an uncirculated Canberra Centenary 20 cent in the Centenary of Canberra PNC. What's the Value of My Coin? Often we get asked what's the value of my coin or what's my coin worth? It might be an Australian coin found in change that you might think has value (other than it's face value) or a foreign coin that you want to find out what it's worth. The answer is often closer than you think......find it at your local library! Sure, maybe you're not a collector or a sometimes collector and you're seeking specific help about a coin value. Stop by your local library and you should be able to borrow a coin catalogue to help you in your quest. Most libraries have copies of Australian coin catalogues such as Renniks Australian Coin and Banknote Values or the pocket guide to Australian Coins and Banknotes by Greg McDonald (McDonald's or Macca's as it is often nicknamed). You can also find world coin catalogues such as Krause. It's not essential that you have the most up to date guide as these reference books can help you with possible values and these values don't typically change that much from edition to edition. So borrowing a guide that's maybe a few years old is a perfect way to research yourself what your coin is worth!